The fourth annual UCC Planning Conference ‘Perspectives, Challenges and Opportunities’ took place on Friday (March 23rd). The event was organised by UCC Planning Society, sponsored by Coakley O’Neill Town Planning, and attended by over 100 people across two venues in UCC. The impressive list of eleven expert speakers included Ann Doherty, Chief Executive at Cork City Council, Dave Coakley, Co-Founder and Director at Coakley O’Neill Town Planning, and Dr. Lorcan Sirr, Lecturer in Urban Economics and Housing at DIT. Guest speaker at the UCC Planning Conference 2018 Ann Doherty, Chief Executive at Cork City Council. 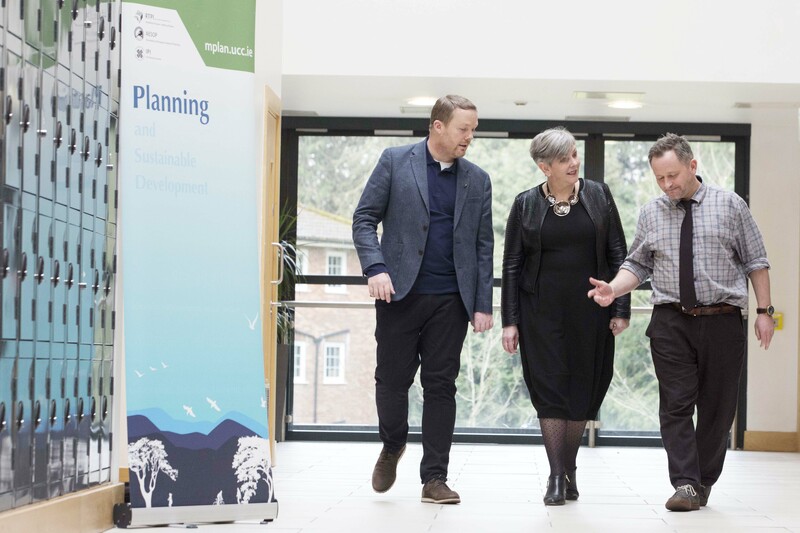 Guest speakers at the UCC Planning Conference 2018 were (L-R) Dr Will Brady, Lecturer at UCC Centre for Planning, Education and Research, Ann Doherty, Chief Executive at Cork City Council, and Dave Coakley, Co-Founder and Director at Coakley O’Neill Town Planning, event sponsors. Chief Executive of Cork City Council, Ann Doherty addressed the conference and said that the recent Project Ireland 2040 announcement is a vote of confidence in Cork and will help the city and county provide an alternative to Dublin for investment into the future. “There are twice as many people moving to Cork city than the average for the rest of the country and there is up to €700 million in proposed development, most of it from the private sector, across the city. “The recent publication of Project 2040 is a huge vote of confidence in the future and potential of Cork City to act as a counterbalance to Dublin. “Over the coming decades we want to create a sustainable Cork that is built for the needs of the future: a smart, innovative and green city with a strong economy, that retains the quality of life and rich community that we all love. 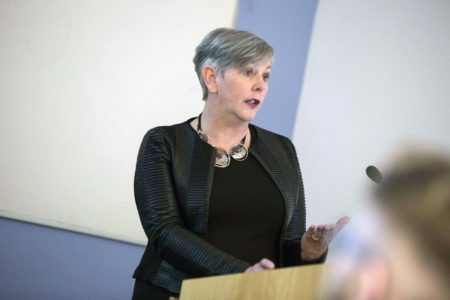 We need to keep Cork’s development agenda to the fore, building momentum on recent success to generate even more opportunities for those who live, work and visit the city,” continued Ms. Doherty. “The main problem in achieving real progress in the planning system is that governance in Ireland is highly centralised and local authorities raise very little revenue themselves. They also have limited control over the delivery of services. It’s not an inability to plan strategically, but an inability to implement strategically at a local level,” said Mr. Coakley. Mr. Coakley continued that the construction of the North Ring Road must be the main priority, rather the proposed Cork-Limerick motorway. “We need a North Ring Road more than the M20 as it is a crucial piece of infrastructure that will unlock the development potential of the northside of the City, rebalance the overall City, and assist in facilitating the redevelopment and regeneration of the City Centre. 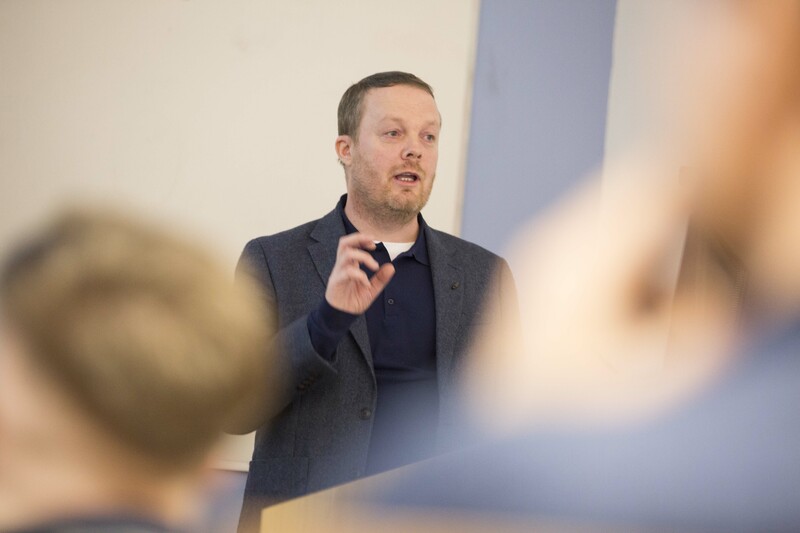 Dr. Lorcan Sirr, Lecturer in Urban Economics and Housing at DIT, spoke about the challenges associated with providing housing in urban areas. “A combination of policy-tinkering, a reluctance to use more state lands for housing and a focus on viability for suppliers, rather than on affordability for potential purchasers has meant we are not seeing the levels of housing in urban areas that we need to. “The centralisation of planning powers also removes the ability for local democracy to tailor solutions for their area. Local planning is being emasculated, which is something that should be of concern to planners and planning students across the country,” continued Dr. Sirr. 2. Dave Coakley, Co-Founder and Director, Coakley O’Neill Town Planning Ltd.
3. Dr. William Brady, Lecturer at UCC Centre for Planning, Education and Research. 4. Dr. Lorcan Sirr, Lecturer in Urban Economics, Housing and Rental Markets, DIT. 5. Nicholas Boys Smith, Founding Director, Create Streets, London.